Phra Chedi Klang Nam built at the center of the isle at the mouth of the Rayong River, the pagoda is located about 2 kilometers from town. The origin of the pagoda, which stands about 10 meters high, is still unknown. Sailors once used it as the sign of arrival in Rayong. An annual celebration held during November, features an exciting boat and Loy Krathong Festival. Short Description: Phra Chedi Klang Nam is a chedi in Rayong Province. 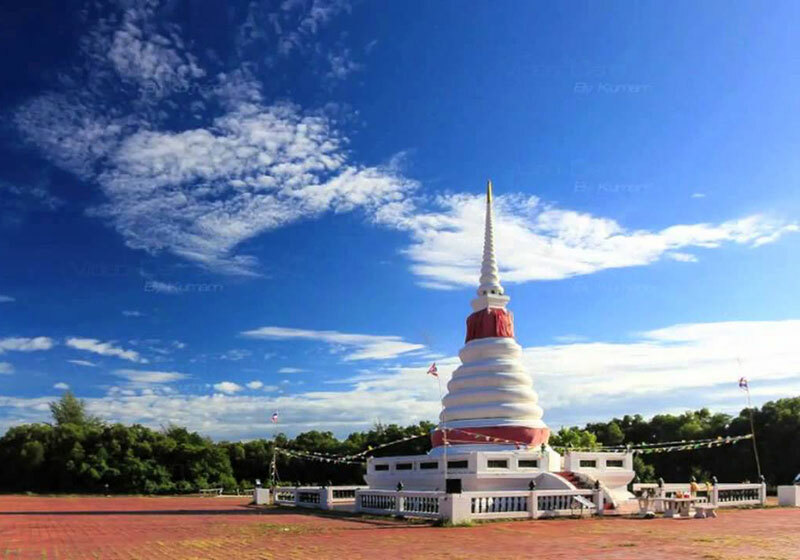 Phra Chedi Klang Nam was built approximately 2 kilometers away from Rayong city and it is located in the middle of the mouth of the Rayong River.